(CNN) - A Pennsylvania judge on Wednesday decided not to restrict a controversial voter ID law from going into place. The law, which requires voters to present a state issued photo ID, has been met with fierce opposition by those who claim that the law discriminates against minorities. In the Keystone State, the issue has largely been divided along party lines. Republicans argue the new law helps to fight fraud, while Democrats make the case that the new law aids Republicans in the voting booth by limiting turnout by minorities in the crucial battleground state. But Judge Robert Simpson, with the Commonwealth Court of Pennsylvania, on Wednesday issued an order expressing no constitutional reason to stop the law from taking effect, despite writing in his decision that he had "sympathy" for the witnesses. "At the end of the day, however, I do not have the luxury of deciding this issue based on my sympathy for the witnesses or my esteem for the counsel. Rather, I must analyze the law, and apply it to the evidence of facial unconstitutionality brought forth in the courtroom, tested by our adversarial system," Simpson wrote. The American Civil Liberties Union of Pennsylvania, the Public Interest Law Center of Philadelphia, the Advancement Project, and the law firm of Arnold & Porter will be appealing to the Pennsylvania Supreme Court, according to a statement from the ACLU of Pennsylvania. "Given clear evidence that impersonation fraud is not a problem, we had hoped that the court would show greater concern for the hundreds of thousands of voters who will be disenfranchised by this law," Witold 'Vic' Walczak, legal director for the state's ACLU, said in a statement. Meanwhile, the Pennsylvania GOP chairman praised the judge's decision. "I applaud the Commonwealth Court for displaying courage and conviction in this ruling. With sensational headlines and half-truths about this legislation being touted by partisan critics, we are fortunate that the Commonwealth Court realized that the sanctity of our elections was at stake – and took appropriate action to protect a cherished right," Rob Gleason said in a statement. Pennsylvania represents a crucial battleground state this fall in the presidential election. While a Republican candidate hasn't won the state since 1988, the state made big GOP gains in recent years and has a Republican governor and one U.S. senator. A recent poll released August 1 suggests President Barack Obama leads Republican challenger Mitt Romney in Pennsylvania by a margin of 53% to 42%, though Romney has in the past predicted he'll win the state in November. In late July, the Justice Department began a formal investigation into whether the state's requirement violates civil rights laws, saying the state had 30 days to provide the requested documents. 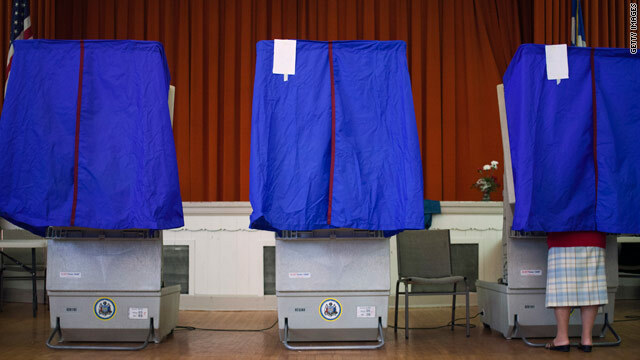 Pennsylvania is the first state outside of the areas covered by Section 5 of the Civil Rights Act designed to protect minorities in states with historic racial discrimination in voting, to be investigated. To date the Justice Department has already filed suit against two states: South Carolina and Texas. Officials are awaiting a ruling by a panel of federal judges in Washington, D.C., on a Texas case argued in early July. Judges have scheduled a hearing on the South Carolina case later this summer. The Civil Rights Division has taken an aggressive approach to challenging voter photo-ID laws, which many Democratic and minority groups claim is an effort by Republican-controlled state governments to suppress voter turnout. Republicans have charged the challenges reflect purely partisan politics designed to enhance minority turnout at the polls. - CNN's Ashley Killough, Terry Frieden, Karan Olson, Sarah Hoye, Adam Levy, and Carol Cratty contributed to this report. Every where you go, you are asked to show your ID....What's the problem with getting one? You need it for everyday living.. In 2000 at serval polling in mainly dems over 1200 people voted for gore later it was found out these people who voted were dead moved to another state and felonies. – Got proof – say a link to back that up? First 2 years of obama the house and senate were dems and nothing got done. – WRONG!!! Senator Franken's seat was contested by sore loser norm coleman, and by the time he was seated Senator Kennedy had already left due to failing health and therefore, the Dems NEVER had a filibusterproof majority in the Senate. it is not just the photo id that is tthe problem most of these new laws want to put very short time lines on regestering people to vote and the amount of paperwork involved all designed to make people less likely to go to the trouble of regestering. or trying to register people. If you don't register people correctly you will pay a fine . this discourages people from getting involved thats the whole idea as presented by the republican party. It's funny you think people in welfare is a joke. I hope you never find yourself in a situation where you need any kind of government assitance. Cuase if you do, there are other people like yourself, that joke about the situation you are in. I bet in won't be so funny when you are at the end of the welfare line..waiting for help...I saw my own business, svings, heathcare,etc. All do down. I am glad government assitance help with my kids health. Now I am back on my feet again. I learned a little empathy for others!! "get an ID to prove who you are"
That's not the issue. Almsot everyone has one form of ID or another. The issue is that they purposefully resitrict the types of IDs that are acceptable in order to make it harder. They also then create requirements for the paperwork necessary to obtain the ID in the first place, which frequently costs money, requires travel and creates long wait times for getting the state agency in charge of such paperwork to issue it. That the GOPers in charge of these state legislatures do things like ban student IDs but allow gun licenses as sufficient ID to vote tips their hand in terms of who they're trying to disenfranchise. The state stipulated in this lawsuit that it had absolutely no evidence that there had ever been one case on in-person voter fraud in Pennsylvania, and no evidence that the law was necessary to prevent any in-person voter fraud. Voter fraud, such as it is, apparently occurs in absentee voting.